Meeting with your faculty advisor to discuss writing an honors thesis if you're in an honors program. Attending regional, national or international conferences in your field. Presenting your research through the Undergraduate Research Center, other conferences, or through publications. 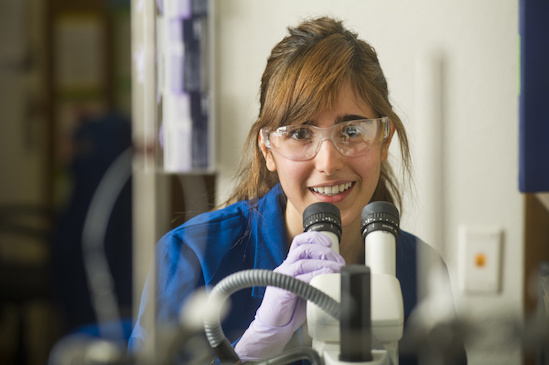 Exploring the Amgen, Beckman, NSF REU, and PUF programs to support your research. Pursuing internships. If you have a passion for public service, explore opportunities to study and intern for a quarter in Washington DC through the UC Washington Program or in Sacramento through the UC Center Sacramento. Scheduling an appointment with the prestigious scholarship advisor to discuss fourth year scholarships. Fourth year applications require extensive work at the end of the third year and throughout the summer. Identifying faculty and other key individuals to write letters of reference considering how each reference writer will portray your skills and experience relative to the aims of each scholarship. Barry M. Goldwater, David L. Boren (NSEP) (summer is for STEM applicants only), NIH Undergraduate, or SMART scholarships. At the end of your third year, you should be thinking about whether your next step is graduate school or beginning your career. If you decide that graduate school is the right path for you and you're considering applying to Rhodes, Marshall, George J. Mitchell, Fulbright, Schwarzman, you will need to begin your application at the end of the third year. Many of the fourth year applications require extensive work and it's important to be mindful of those requirements. After you decide which opportunity is right for you, make an appointment with the prestigious scholarship advisor to discuss your application.